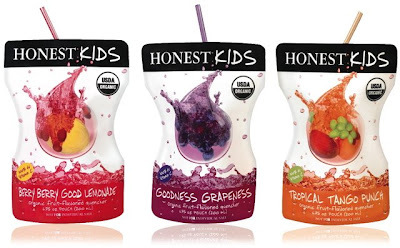 Honest Kids Organic Juice now at COSTCO!!!! I've been buying these juices at Whole Foods for a while and just today I found them at COSTCO!!! Costco - 18 for $7 bucks approx. This recipe is sooooo yummy (if you are a Banana Cream Pie lover) and will make you look like a Super Mom/Chef. It has been reviewed by something like 1200 people on the Food Network website. You will get so many compliments if you bring it to a party. The great part is, it only takes minutes to prepare. The bad part is, you need to use a mixer so I couldn't do it when Baby P was sleeping. It's better if you do it the day before and let it sit in the refrigerator. I did it in a trifle bowl and it looked AMAZING! Wow! Starting this Blog only took 10 Minutes. YAY! So, ..I probably have 10 mins before Baby P wakes up. My life has become short and sweet due to a constant time crunch on the computer. My deadline has become him waking up from his nap. This is a good start. We'll see where it goes.